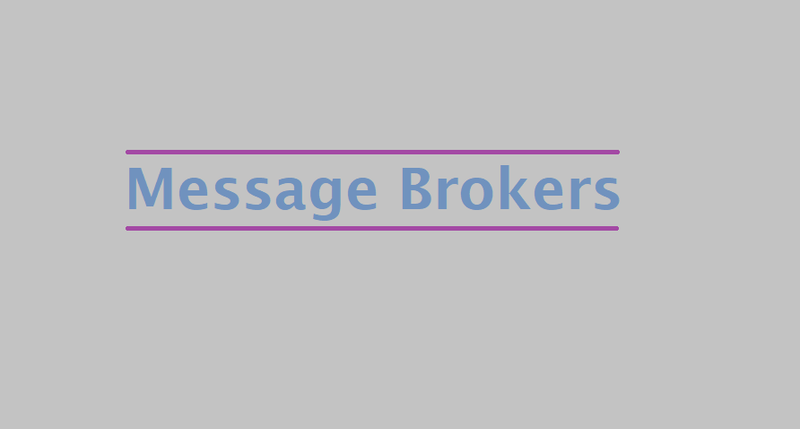 What is a Message Brokers? A message broker (also known as an integration broker or interface engine) is an intermediary computer program module that translates a message from the formal messaging protocol of the sender to the formal messaging protocol of the receiver. Message brokers are elements in telecommunication or computer networks where software applications communicate by exchanging formally-defined messages. Message brokers are a building block of message-oriented middleware (MOM) but are typically not a replacement for traditional middleware like MOM and remote procedure call (RPC). A message broker is also known as an integration broker or middleware. Route or transfer messages to one or more destinations with an alternative representation. I provide a list message brokers from Wikipedia. Redis An open source, in-memory data structure store, used as a database, cache and message broker. Mosquitto is one of the most famous MQTT broker. Its very easy to install and easy to use. After reading many articles and answers, following are the steps I found to make it work.